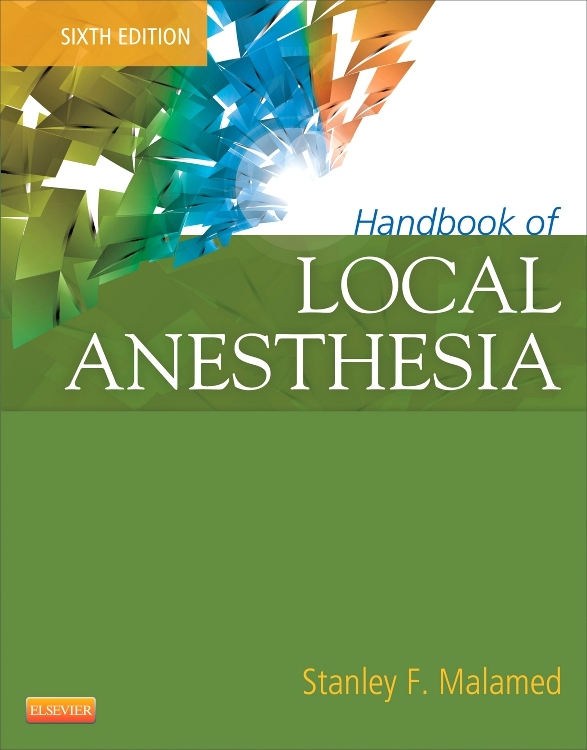 Learn to prevent, recognize, and manage complications of local anesthesia administration. 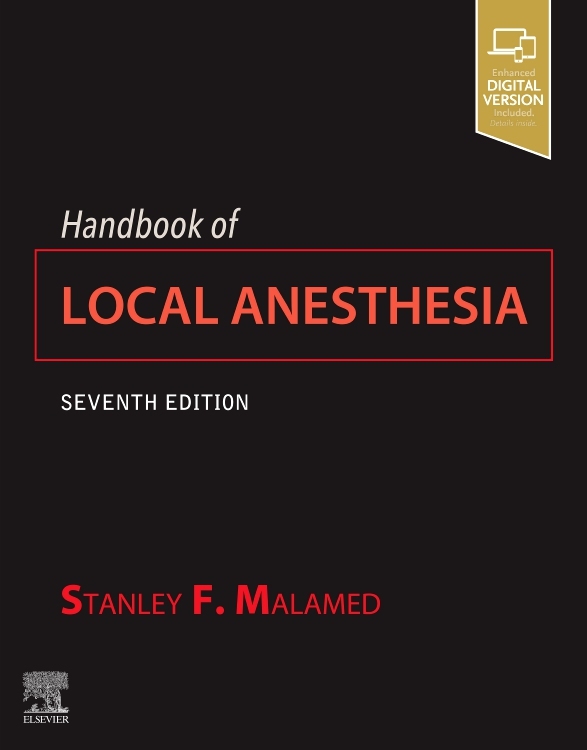 Written by Dr. Stanley Malamed, the leading expert on anesthesia in dentistry, the Handbook of Local Anesthesia, 7th Edition covers all the latest advances in science, instrumentation, and pain control techniques. From basic concepts to specific injection techniques, from dosage charts to the proper care and handling of equipment, this how-to guide provides in-depth, full-color coverage of key anesthesia topics, including specific hazards and errors in technique that may result in complications. 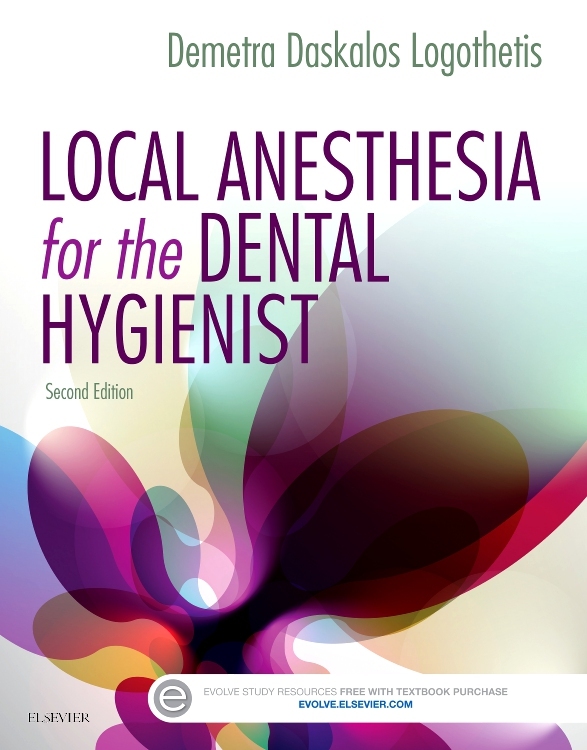 Recognized as THE local anesthesia textbook in dentistry for over 30 years, the seventh edition has been thoroughly updated with the latest in safe anesthesia practices in dentistry. Written by Dr. Stanley Malamed, one of the most in-demand and globally recognized experts on dental anesthesia and sedation. Full-color photographs and line drawings enhance important points throughout book. Step-by-step procedures cover the techniques for administering intraoral anesthesia. Detailed descriptions of routes of anesthesia administration included throughout text. NEW! Updated and enhanced content throughout reflects latest research evidence. NEW! 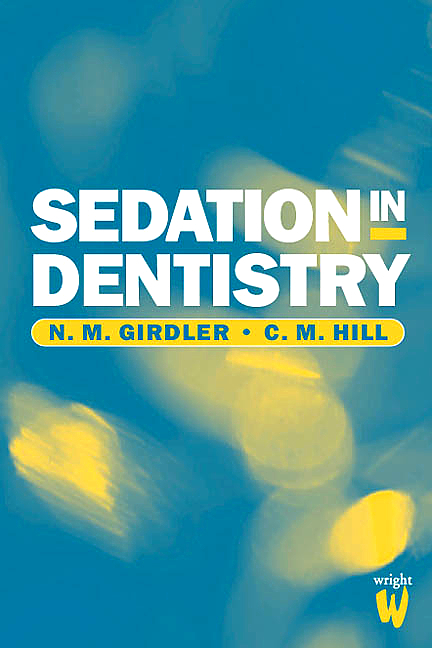 Two added chapters cover problems in achieving pain control and their solutions; and recent advances in local anesthesia. NEW! Addition of an Expert Consult Site allows you to search the entire book electronically.